Specialist retail advertising agency Gratterpalm has appointed James Foster as its new digital design manager and Amy Ewbank as senior planner. Foster joins the Leeds agency from digital signage agency Realisation where he worked with brands such as Telefónica Digital and Three mobile. He has over 11 years' experience in digital agencies and brings expertise in 3D animation and motion graphics to Gratterpalm’s digital signage offer. Ewbank has spent the last six years in London working in communications planning, leading campaigns for a range of brands including Nestlé KitKat, Remington and Virgin Holidays. 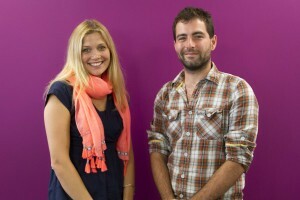 She will work across Gratterpalm’s retail and FMCG client base, including recent account win Halfords. Gratterpalm, which numbers 160 staff overall, also works with brands including Asda, Greggs, DFS and Arla Foods.